Not getting satisfied with your lunch? Here is a hearty rice dish with a multitude of flavors for a pleasing meal. 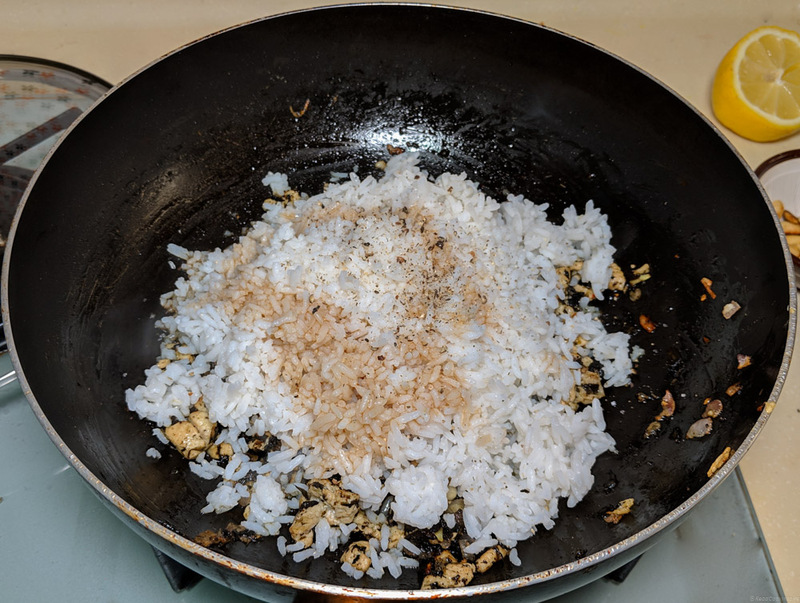 Fried rice with olive vegetable, shredded egg crepe, and chicken will certainly delight hungry mouths looking for something different and will surely become lunchtime favorites. 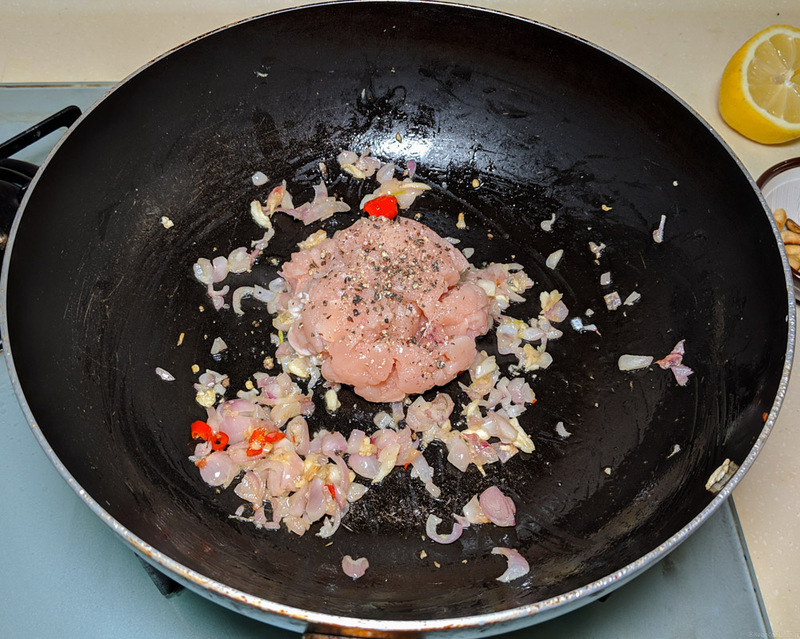 Beat the eggs with half a tsp of pepper and salt. Chop the shallots, garlic and chili. 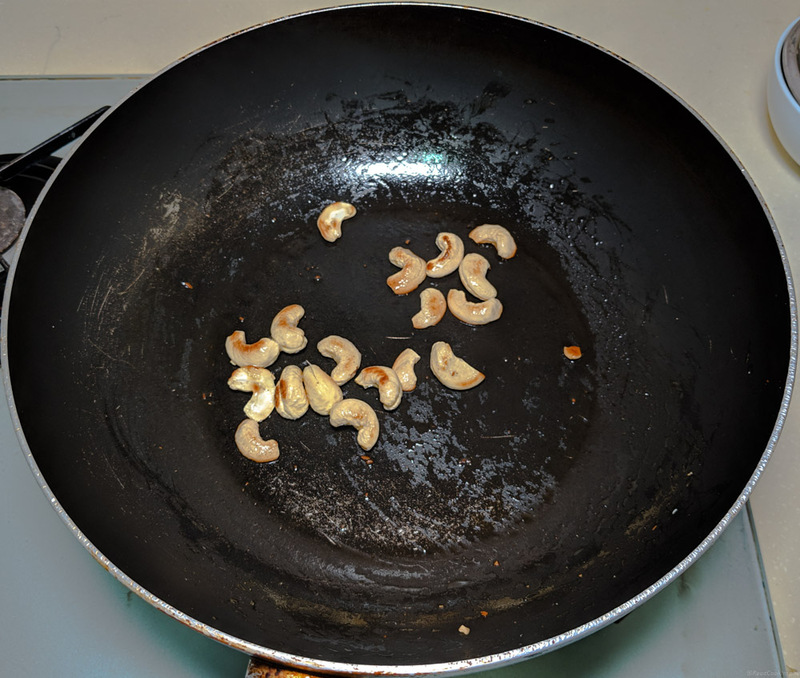 Skip above step if you are already using fried cashews. Cook for 30 secs. As the layer is thin no need to cook on another side. 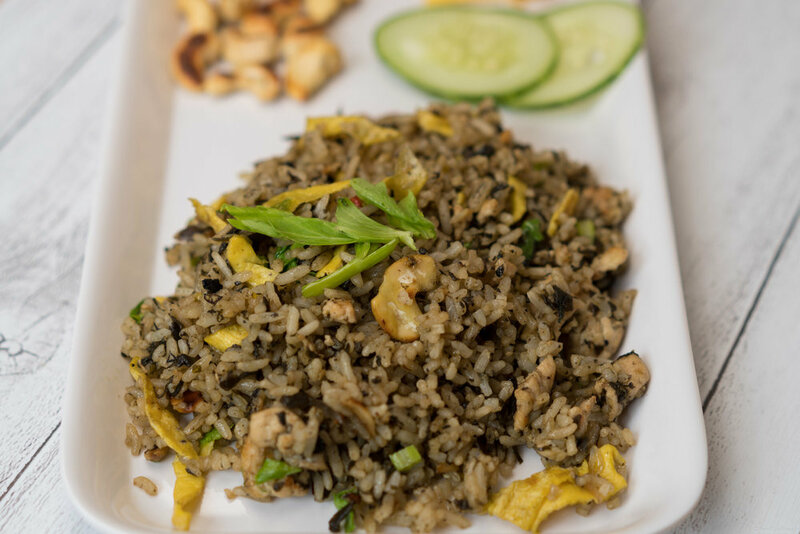 Enticing fried rice to satisfy your lunch cravings, Enjoy! If you have preserved olives use that instead of olive vegetable. 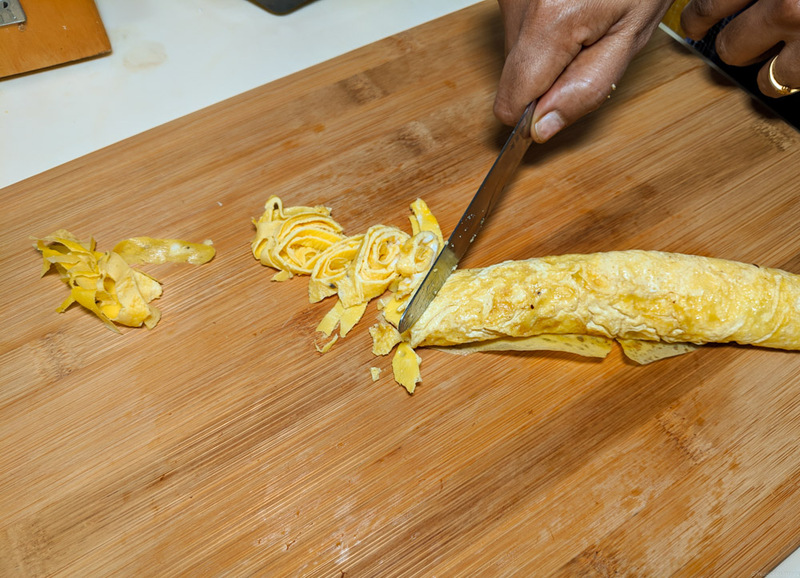 You can also use a non-stick tawa to easy out the process of making egg crepe. Cook the rice overnight to avoid clumps and mushiness.